Product #25835 | SKU TS64GJF780 | 0.0 (no ratings yet) Thanks for your rating! 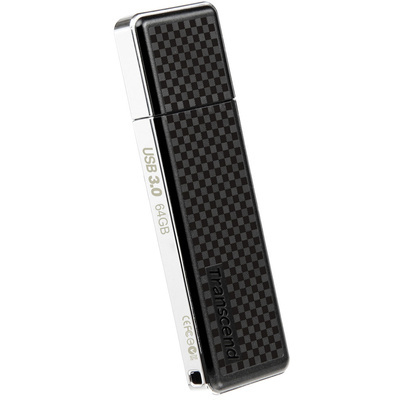 The 64GB JetFlash 780 USB 3.0 Flash Drive from Transcend is a flash memory storage device featuring fast maximum read and write speeds of 210MB/s and 140MB/s, respectively. It is resistant to shock, splashes and dust, and features a classic chequerboard design. Included is a free download of exclusive Transcend Elite data management software. The drive offers easy Plug and Play operation and is compatible with Windows 8, 7, Vista, XP and 2000, as well as Mac OS 9.0 or later and Linux Kernel 2.4.2 or later. It is backed by a limited lifetime warranty.